We all enjoy our podcasts, niche radio shows, and morning news during the drive to work or school, but the history of radio has a far reaching past beyond our modern version of it. For much of the twentieth century, radio was the entertainment and news medium of choice — not television, and radio has a particularly interesting history here at IU! The Indiana School of the Sky radio program of the Indiana University Department of Radio and Television began broadcasting educational radio programs in 1947 and continued through the early 1960s. The program reached schools throughout Indiana and nearby states and led to new course offerings at IU. 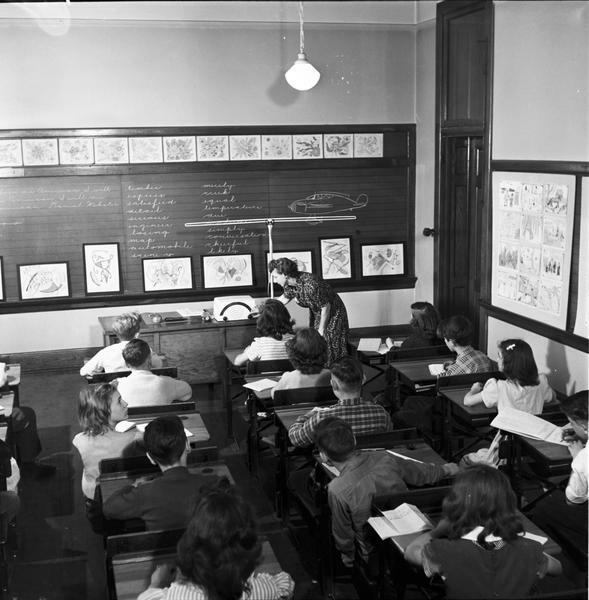 IU students performed in the radio programs originally intended for children ages 4-8 which aired for 15 minutes during each school day. Eventually the program’s popularity called for further programming for high-school students, and later adults tuned in as well. Topics in every subject from history and music to current events and news were covered during the various episodes of the program. The School of the Sky series discussed possible careers for students, music and literature, how to find a job, dating and growing up, and current events. In many ways the program’s subjects seemed to help students learn both educational topics and how to be a part of society. Other episodes focused on the news and events of the time that were likely difficult for students to understand. The Indiana School of the Sky, 1961-1962, How It Happened Series, Volume 3 of 3. Program #10, Aprill 11, 1962, George Strimel, Jr. Page 96. The program effectively brought a faraway place and the conflict of the Berlin Wall and Cold War home to the listeners in Indiana. The students here at IU were the radio show’s writers, performers, and producers. 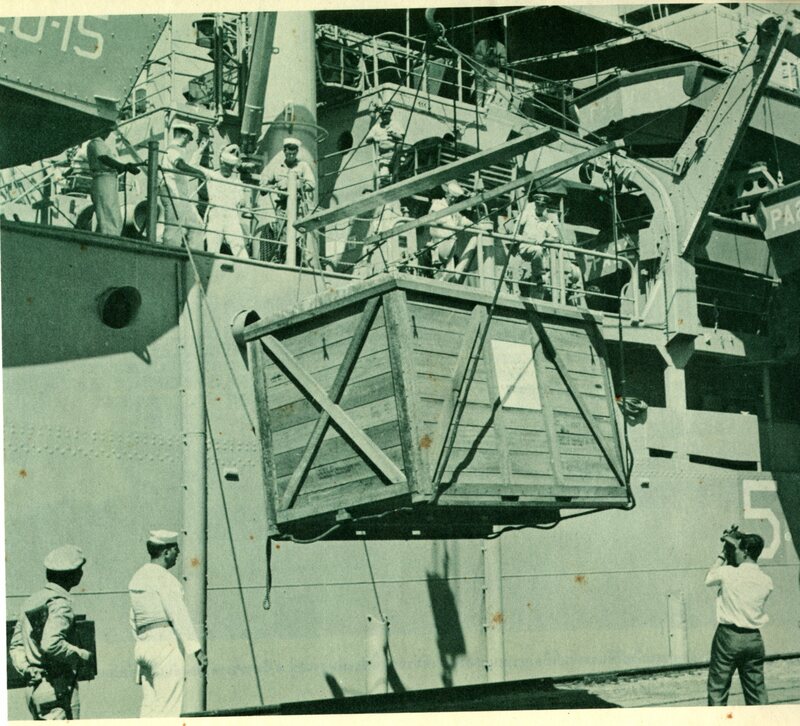 The Indiana School of the Sky eventually reached thousands of classrooms and children while also providing college students with invaluable radio experience. The bound volumes containing the scripts of the program and the teaching manuals found in the IU Archives’ Indiana School of the Sky records offer enlightening insight into the stage management, acting, and preparation that was necessary for each episode. 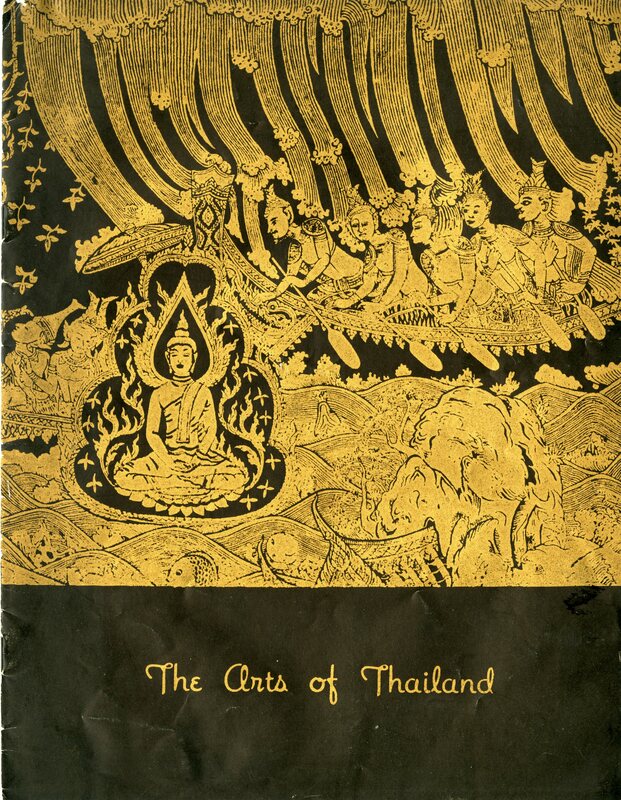 In 2009, the Media Digitization and Preservation Initiative (MDPI) at IU found numerous lacquer discs containing recordings of The School of the Sky. 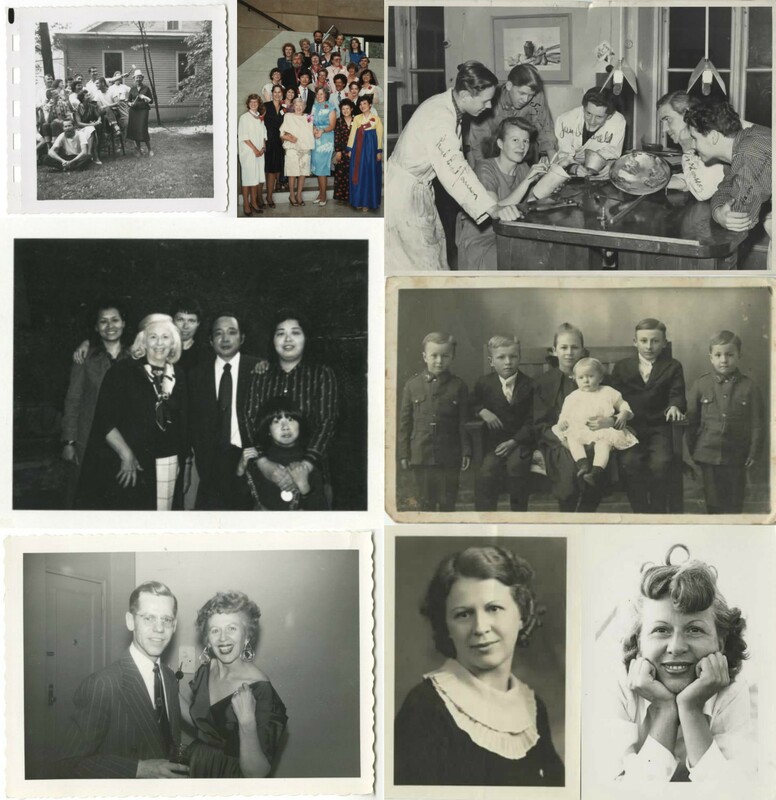 These are now digitized and available online through Media Collections Online. 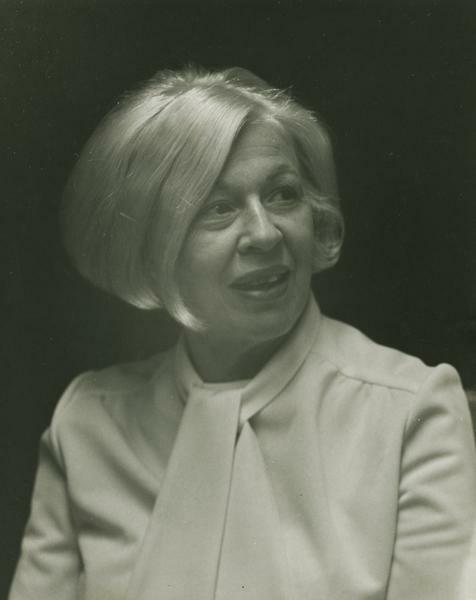 The Alma Eikerman papers are now organized and available for research! 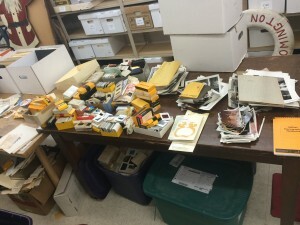 If you don’t remember, the collection came to us in pretty rough shape; you can read about in my blog post from a few months ago. 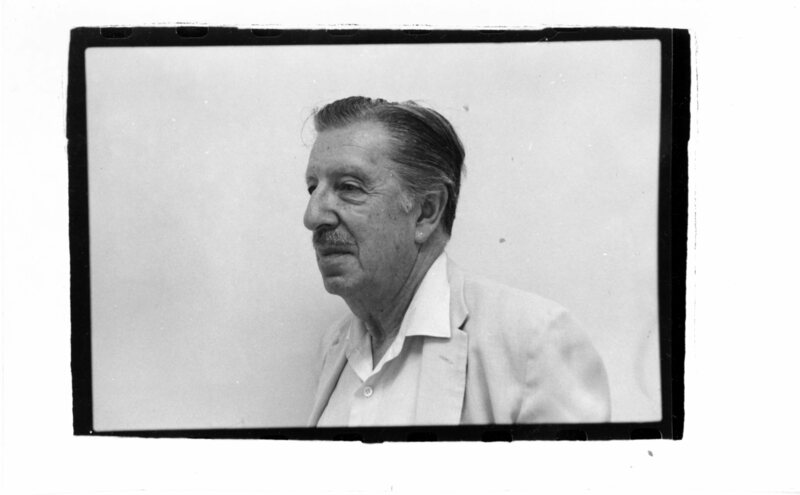 Born in 1908, Eikerman was a well-respected artist and professor who taught in the School of Fine Arts (now the School of Art + Design) at Indiana University from 1947 to 1978. Known for her innovative metalsmithing, she was a vital force behind the development of the program at IU. Her work appeared in numerous exhibitions during her lifetime and now resides in private collections and museums across the country, including the Smithsonian and our own IU Eskenazi Museum of Art. 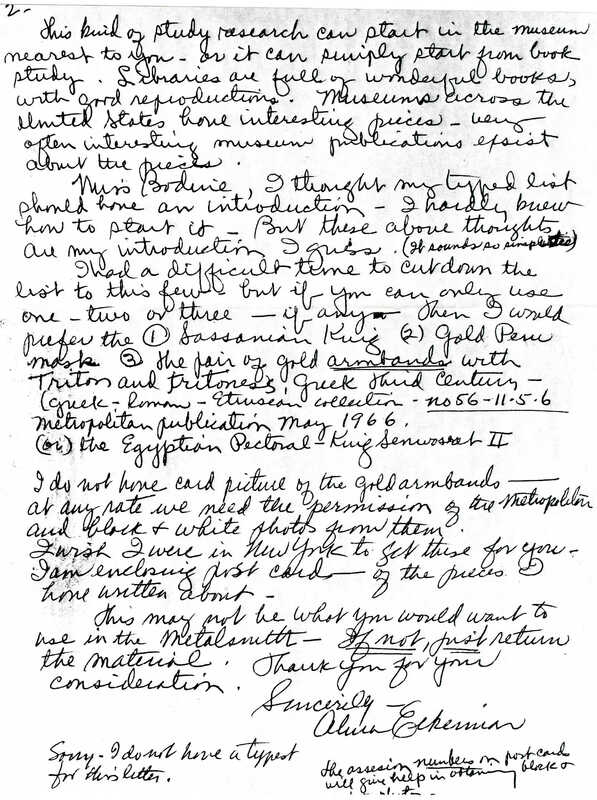 The Eikerman papers includes a wealth of material documenting Eikerman and her life. 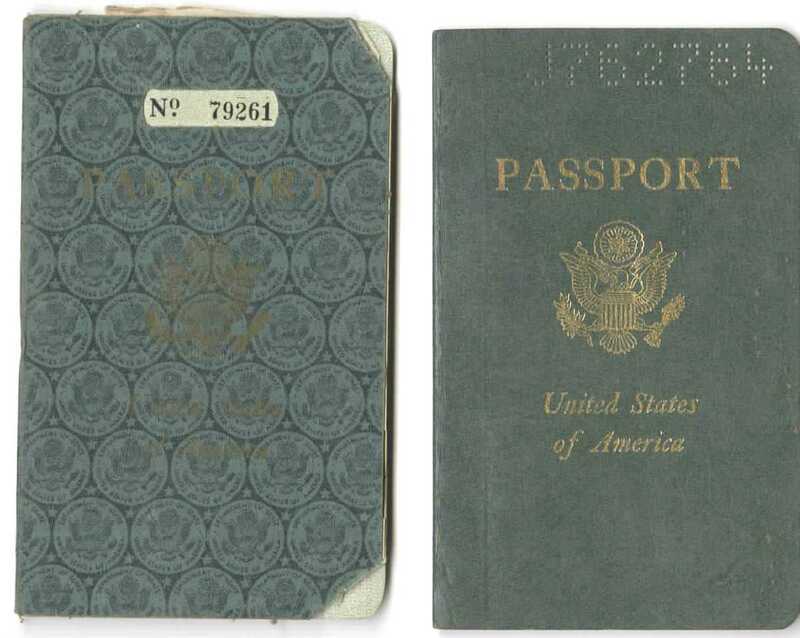 Included are papers from her extensive travels such as tickets, maps, itineraries, brochures, notes she took while on trips, and her passports with stamps of the countries she visited. 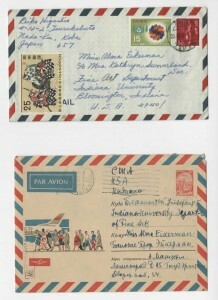 Her correspondence includes not only professional missives but also many personal letters, such as post cards Eikerman sent to her parents while she was working for the American Red Cross and a letter from her grandfather from around 1916. Eikerman also sent annual newsletters to her former students to keep everyone updated on each other, demonstrating her dedication to and interest in her students. The photographs in this collection are my personal favorites and include slides, negatives and prints spanning her entire life, personal and professional. 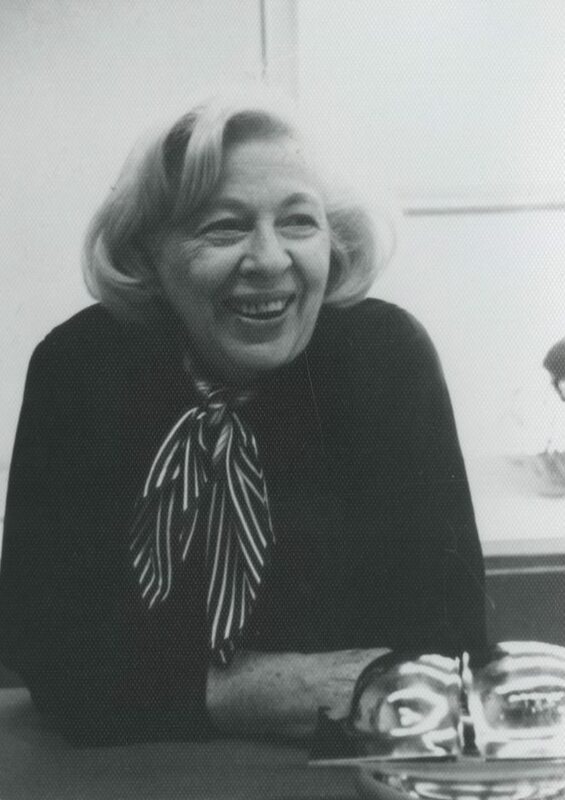 Also, can we all just agree that Alma Eikerman was incredibly photogenic? Lastly, and perhaps most important to those familiar with her work as an artist, is the part of the collection that relates to metalsmithing. 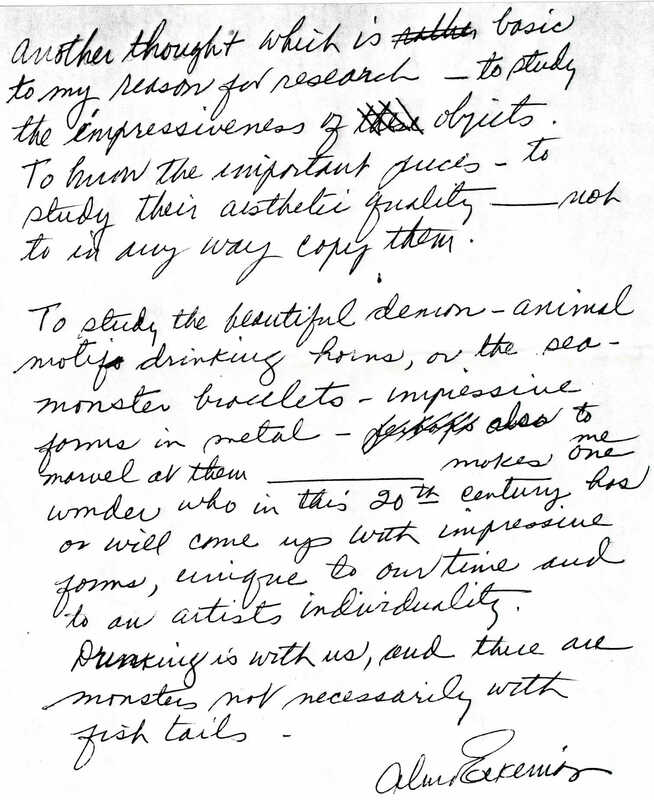 Here researchers can find notes, receipts for materials, price estimates, sale tickets, as well as preparatory sketches of her work in various states of development – some hardly more than doodles while others are detailed sketches of a piece complete with notes. 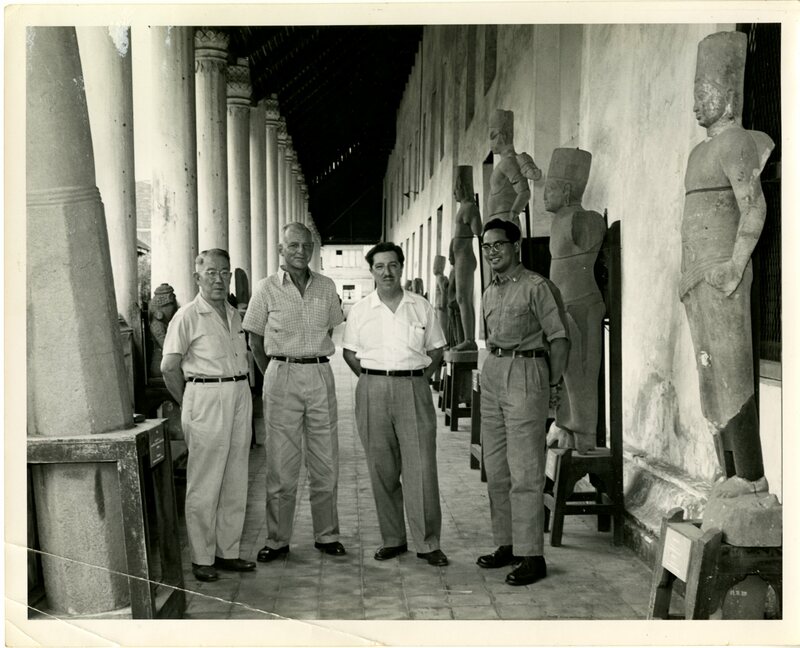 Contact the IU Archives to schedule an appointment to view the Eikerman collection! 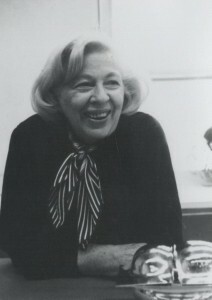 Alma Eikerman was a successful metalsmith, an innovative jewelry designer, world traveler, and beloved professor at Indiana University from 1947 to 1978. She was in countless exhibitions, won many awards, and her work today is in numerous museums across the country including the Smithsonian Museum of American Art and the Indiana University Art Museum (IUAM) on campus. As in intern at the IU Archives this semester, this was all pretty intimidating but I was thrilled to be given the opportunity arrange and describe Eikerman’s papers as part of my internship. I was already familiar with her work through the IUAM, where I also currently work as an hourly in the Registrar department. I was eager to dive in. I knew people loved her and respected her, but most of the items in the file were from other people’s point of view. I wanted to learn more about her. Of course the best way to do this would be to actually meet her, but unfortunately Eikerman passed away in 1995. The next best thing, would be to go through the documents she collected during her lifetime. 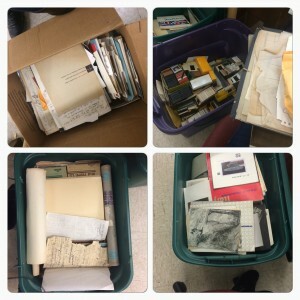 Some collections come to the IU Archives neatly organized and labeled in alphabetized folders – the Eikerman papers were the opposite. Sadly, it was as if whoever boxed them up, merely pulled out the drawers of her desk, turned them upside down, and dumped the contents into 12 Rubbermaid bins. It is my job to create some sort of order out of this chaos so that a researcher can come and use the papers in a timely fashion. I learned a lot about Eikerman as I went through the first few tubs. 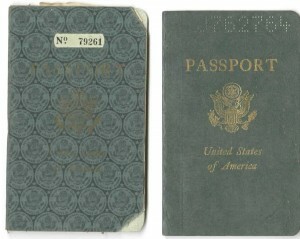 For instance, she traveled around the world (shown by her multiple tickets, receipts, guidebooks, maps and passports). 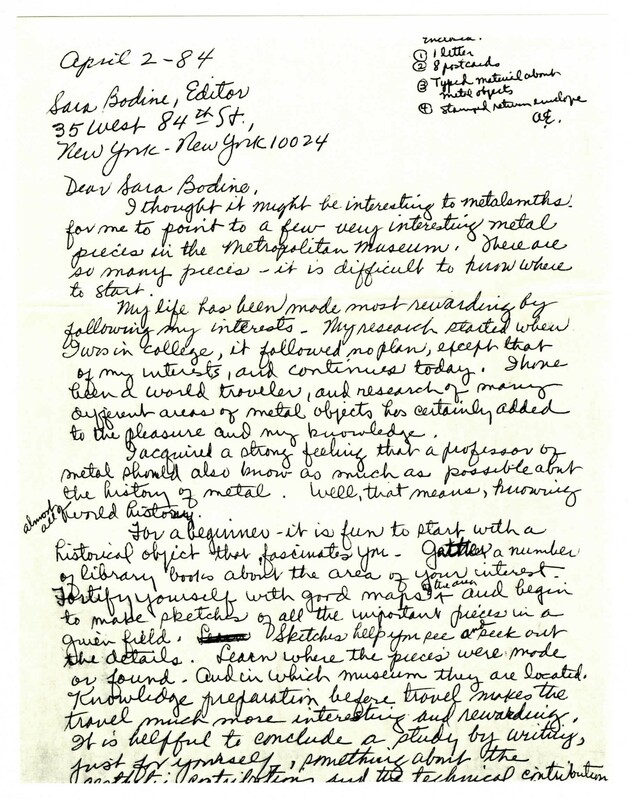 She kept in touch with her former students and tried to follow their careers (shown through the newsletters she sent them and copies of publicity from their exhibitions), and designed her own home (seen by the designs she drew and the magazine clippings she marked). I am now more than 3 weeks deep into this collection, and I feel that I have only scratched the surface. I find a messy collection like this exciting, with a new surprise in every box. I may sound like a commercial for those children’s cereals with a toy inside, but it is so true. 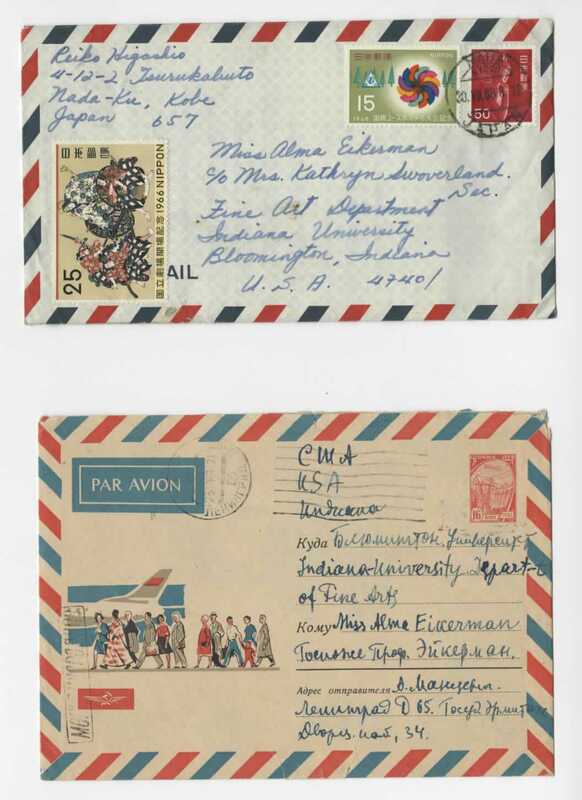 I will be sifting through what seems like a thousand years worth of holiday cards and then SURPRISE there is letter she wrote to her grandfather when she was about nine or one of her passports with stamps from all over Asia. The whole process is fun, but it is also exhausting. I was starting to get a little overwhelmed and blurry eyed. 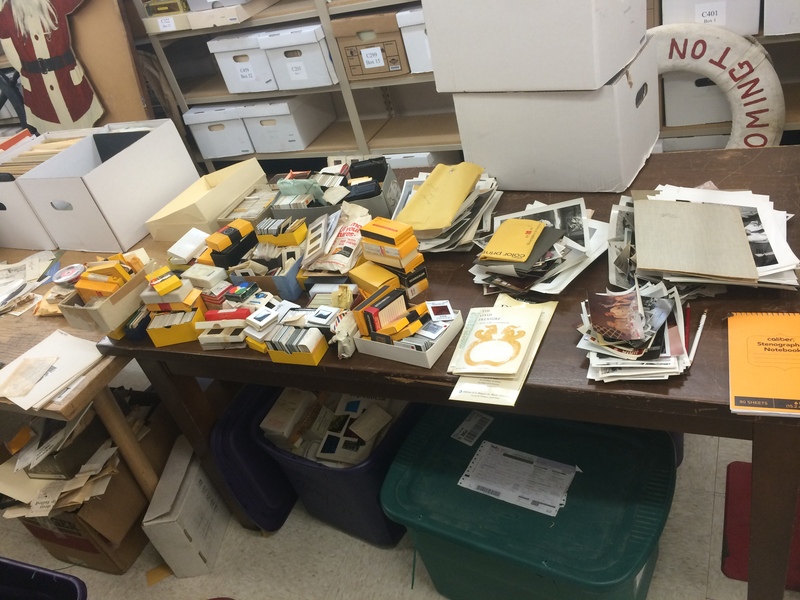 I have all these piles of items that are similar, and I have taken over the back room storage room of the IU Archives. Then I came across an incredible find, a travel permission form from when she served with the Red Cross in the 1940s. Where does this go?!?! I sat there looking at my piles with this fragile, old paper resting in my hand for probably five minutes. 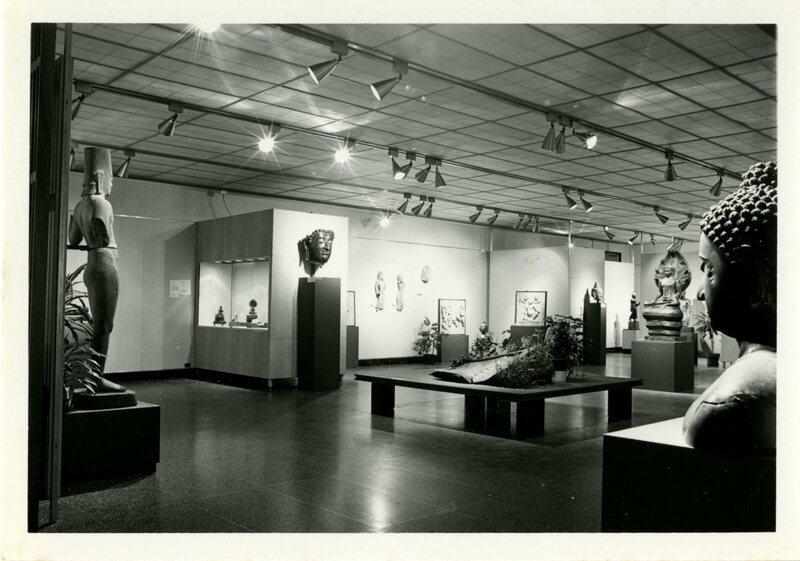 After this blog break, I’m headed back to the collection to hopefully uncover more treasures. I hope to have the collection fairly well organized by the end of this semester; watch for more information here or contact the IU Archives. In the meantime if you’re interested in other artist’s papers, you might like those of printmaker Rudy Pozzatti, textile artist Joan Sterrenburg, or sculptors Karl Martz and Jean-Paul Darriau.